Hotel Misty Valley is located in a prime area, with many famous attractions located close by. This hotel has multiple rooms, each decorated with modern interiors and classic furniture pieces made from cane. 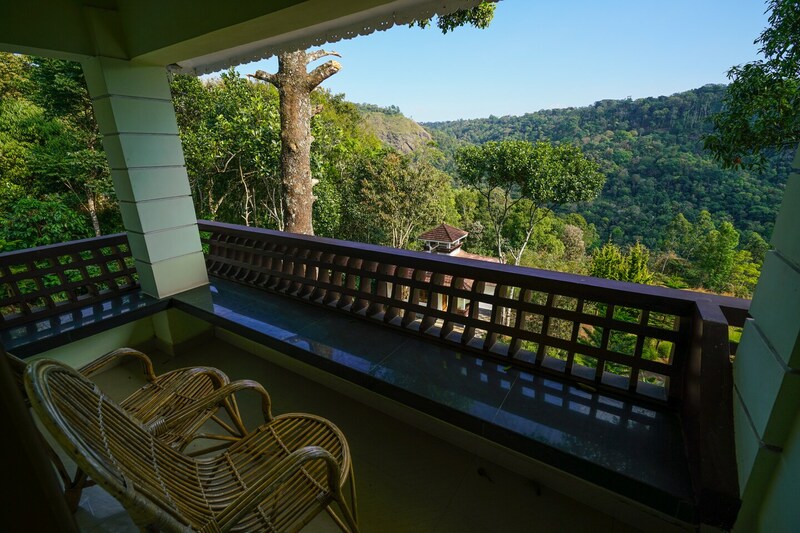 Each room has a balcony with a wooden bench for enjoying the view. Each room is equipped with a TV and a geyser. There is also a seating area on the terrace for guests. The hotel is a short distance away from tea gardens and spice shops selling local teas and spices. The Kalladanthy Natural Cave Park Munnar is located a short drive away.